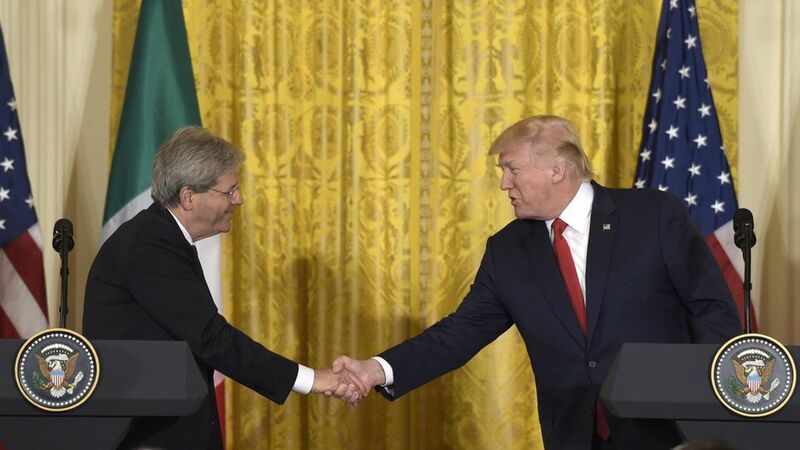 Highlights from President Trump's press conference with the Italian Prime Minister, in which he warned Iran and said he plans to meet the Pope when he travels to Italy. Health care or government funding next week? "I want both." Trump said there'd be a health care vote "next week or shortly thereafter." On the shooting in Paris: "Again, it's happening, it seems…It looks like another terrorist attack. What can you say? It just never ends." On Iran: "Iran has not lived up to the spirit of the agreement and they have to do that. They have to do that." On the US role in "stabilizing" Libya: "I do not see a role in Libya. I think right now the United States has enough roles. We have roles everywhere." His message to China: "You'll get a much better deal on trade if you do something about this menace that is North Korea." On Gentlioni being asked about NATO spending: "I love the question you asked the prime minister. I look forward to his answer." On refugees: "A responsible approach to refugees is one that seeks the eventual return of refugees to their home nation." His upcoming trip to Italy: "I look very much forward to meeting the pope."